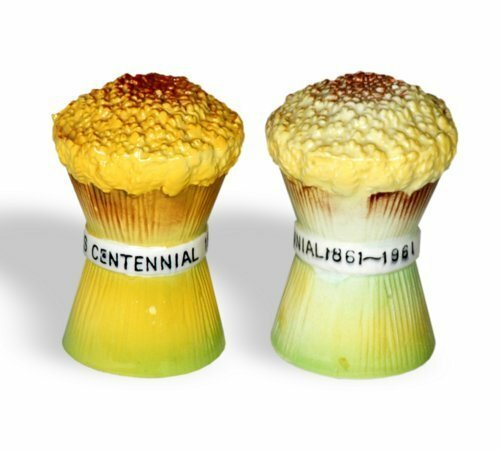 This set of salt and pepper shakers, designed to resemble shocks of wheat, was produced by Norcrest of Japan. They were manufactured to commemorate the Kansas Centennial in 1961 and highlighted the state's significant role in wheat production. In the early 20th century, wheat was commonly bundled in shocks during the harvest.